“The onus of proving the alleged Medical Negligence in the treatment of a patient lies with the person (patient) alleging medical negligence...” A sigh of relief for Doctors.. The National Commission has reiterated the above proposition in its recent judgment of PALLY SRIKANTH & ANR V/s. M/S. KRISHNA INSTITUTE OF MEDICAL SCIENCES LTD.
She then went to Krishna Institute of Medical Sciences Ltd. (Respondent No.1). She remained in the aforesaid hospital from 19.12.2006 to 21.12.2006 under the treatment of Dr. S. Mohandas, Dr. E.A. Vara Lakshmi and Dr. B. Chandrasekhar Reddy. When she came to the said hospital, she had complaint of pain in lower limbs, associated with weakness of limbs. On her physical examination, weakness of proximal muscles of all four limbs was found. She was discharged with advice to take Mecozen Plus tablets, Evion (Vitamin E) capsules and take physiotherapy. She was advised review after two months in Neurology OPD. Her ailment was diagnosed as Anterior Horn Cell Disease – Probable SMA-Type III. Doctor B. Chandrasekhar Reddy also certified that the said disease had no specific treatment. 1. Her ailment had been wrongly diagnosed at Krishna Institute of Medical Sciences Ltd, without conducting adequate investigations and in fact, the Spinal Muscular Atrophy (SMA) Type-III was not even possible at her age. 2.According to her, she was wrongly advised that the aforesaid disease was incurable and no medicine for its treatment was available. 1. The National Commission upheld the Judgment of state Commission which rejected the claim of the Complainant. 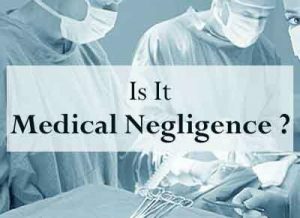 2.It is a settled legal preposition that the onus of proving the alleged negligence in the treatment of a patient lies with the person alleging medical negligence. 3.Admittedly, no doctor was examined by the complainants/appellants to examine the record pertaining to her treatment in Krishna Institute of Medical Sciences Ltd. and give opinion as to whether there was any negligence in diagnosis of her ailment and in her treatment in the said hospital. 4.There is no quarrel with the legal proposition that a case of medical negligence can be made out even without producing the evidence of an expert. 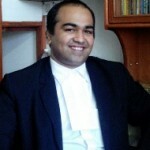 But, where in a particular case, the alleged negligence stands proved or not, would depend upon the facts of each case. The onus will always be upon the complainant to prove, whether by producing expert opinion or otherwise, that there was negligence at the hands of the doctor in the treatment of the patient. 5.There are no 2 opinions in case of a settled Law that a doctor should not merely go by the version of the patient regarding his symptoms, but should also make his own analysis including tests and investigations where necessary, but in present case The doctor had no reason to suspect the evidence of the investigations conducted at the previous hospital.. Yes the onus of proving negligence is always on the patient. I think its time when the doctors or the medical institutions sues the patient once of the same amount for trying to tarnish the reputation. Once we start hitting back I guess the public will realise that for everything they cannot claim its medical negligence.